SHIPPING IS FREE! 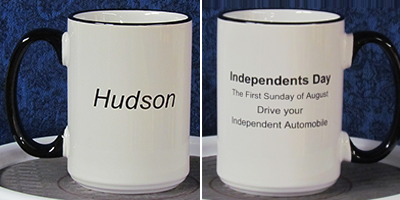 ALL COFFEE MUGS,$19.95 each. 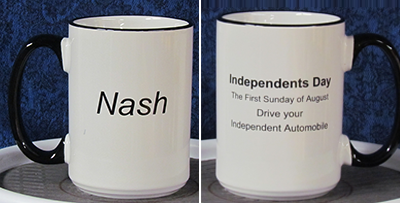 They are referred to as Independent's Day coffee mugs, because they were created to celebrate a new holiday created to honor the American Independent automakers.